It doesn't look too bad to me. The value ranges and controller notations look a bit funny but otherwise its a standard fixed length program vector format. Will take a few knob turns to answer these questions and some more involved checks to verify the location of parameters inside the program vector. But overall its a fairly simple format. The valid critique of the documentation is that not all details are defined precisely. Nor do they define the sysex messages supported by the instrument. Overall impression: about the same as current DSI documentation but without defining the sysex messages. I would even go as far as calling Peak for Novations attempt at a Prophet 12 like design. Novation refuses to release the spec of Sysex for the Peak. Have been wondering if they don't publish it because its too much work to document the format. In any case its simply bad style not to publish such information as a public specifications allows users to do more with their instrument. Wonder if we'll see a keyboard version at Namm? Oh it's truly dreadful. There's no need to use a combination of CC's and NRPN's, all it does is make it hard to configure a controller (as Daviddever said). I've looked at the MIDI implementation for my Circuit and it's like each preset has it's own set of CC's/NRPN's, not just a set bunch of parameters that are controlled by a set of universal NRPN's for every preset. It's insane, they make Roland look MIDI geniuses! I've looked at the MIDI implementation for my Circuit and it's like each preset has it's own set of CC's/NRPN's, not just a set bunch of parameters that are controlled by a set of universal NRPN's for every preset. It's insane, they make Roland look MIDI geniuses! You mean its time for a little sabre dance? Well, I think we are better off hoping SABRE won't dance! They sound unreal and I'd like one. The MIDI "issues" with the Circuit I'd hope are more pronounced considering it was supposed to be a sketch-pad with some DJ type usage also. It's a lot of fun and I'd still have bought it (2nd hand at half the store cost) if I knew there was a crappy MIDI implementation. 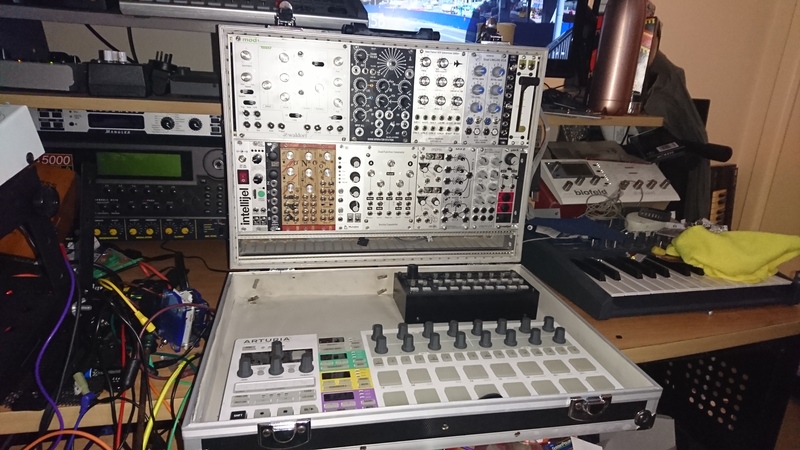 It's not a "real" synth, I'd put it in the realm of drummachine if anything and the very crappy MIDI doesn't impact upon it's ability to blow a hole in your wall. It's weird how Novation work, they made some of the best MIDI controller, some of the few on the market that can transmit 14bit NRPN's with simple programmers that are not even needed really as it can all be done from the front face. I've just had a look at the MIDI parameter list for the Peak, it's the same mishmash of NRPN's and CC's. They are listed in parameter order and they don't mention if the NRPN's are in hex or dec and what the hell is 0:2? It's supposed to be an NRPN number but it's a ratio, so again back to is it hex or dec? Part of me was sure they wouldn't make it so cryptic with a real synth. They must think we all have 12 arms and can play four synths at once while tweaking dials so have no real need for that silly MIDI stuff...... I wish I could say I've dealt with worse, but I haven't. I still want one, it'd probably become a performance machine as it needs to be tweaked live if it is to be at all with any ease. Nothing can ruin it's ability have a sequence of notes shot at it via MIDI, so at least that part would work as with any other MIDI instrument/module. They are listed in parameter order and they don't mention if the NRPN's are in hex or dec and what the hell is 0:2? It's supposed to be an NRPN number but it's a ratio, so again back to is it hex or dec? NRPN messages are composed of a minor and major id and value parts. Most likely its decimal and most likely A:B means A*128 + B or A + 128 * B. The best way to determine that is to connect a MIDI monitoring program to the Peak and check what MIDI data is send when turning a corresponding knob. So that part is not a problem. Its only that they do not document the sysex messages nor the program vector layout. In general, there shouldn't be a need to mix CCs and NRPNs. It's sloppy–and for DAWs which cannot handle one or the other, it's a woefully incomplete implementation. Sysex documentation is yet another discussion–but yes–ought to be complete and well-documented on the day the product ships, and any updates / changes to spec noted within their own docs. It will be interesting if Sequential come out with a Wavetable based or digital oscillator/analog filter around the same time as this possible Novation Superpeak or Twin Peak. I love a lot of the sounds in that video. I've watched it a dozen times just to hear them. Some companies are flouting their new products for this half of the year already, while some are being quiet, possibly waiting tor the 24th to show-off their wares. Don't think that Novation is retiring the Peak as it's still for sale on their site shop, but an increased voice, or even multitimbre Peak would be tasty indeed. I read somewhere, that Novation answered to questions about a key version, that it would depend on sales if any would see the light of day... I feel it has sold pretty well, and a 16 voice version would not be unrealistic with 16 voices becoming the trend now, and people calling for a keyboard version since its release.